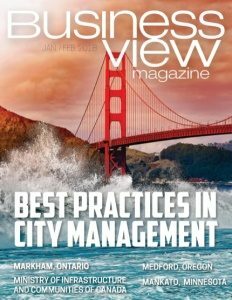 Business View Magazine interviews Jonathan Moody, General Manager of Holiday Tours, as part of our focus on the American transportation sector. For the next year or so, Nancy acted as a tour operator, growing a group of people who wanted to travel with her wherever she went. “Then the situation turned,” Moody recounts. 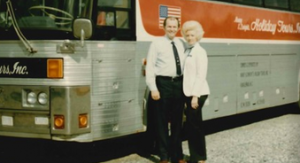 “What happened was, people started calling the bus company, asking for Nancy’s tours. And instead of being excited that the company had a tour operator that was growing their business, they got a little jealous. So, they started sending her equipment that had failures, equipment that was missing seats, equipment that wasn’t working properly, or didn’t have AC in the middle of summer. 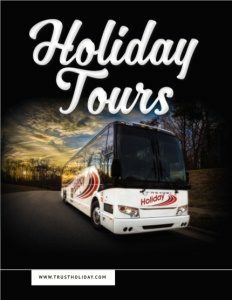 Moody believes there are several factors that differentiate Holiday Tours from the competition: “Number one is branding,” he declares. “We make sure that all of our buses display our name proudly and boldly, making it a recognizable vehicle as it’s driving down the road. A lot of other bus companies do not, or they have no name on the vehicle. We’ve always said that if they’re not proud of their name, there’s a reason. “The other is customer service and treating everybody like family. Time and time again, I hear somebody say, ‘So and so just booked a bus with us because we were the only one who called back to see if they wanted to book it or if they had any questions.’ It seems like that customer service aspect in the marketplace is not as prominent as it once was and we’re doing our best to maintain and hold fast to those values. Moody reveals that he is frustrated with the growth of sham, or third-party companies, that don’t actually own their own vehicles, but advertise themselves as booking operators. “You call them for a quote, they quote you a price, and they will find the absolute cheapest vehicle, regardless of safety, regardless of any factors that you would use to choose which company in whose hands you’re going to put your life. We’re constantly battling with these companies that don’t own or operate any buses. They’re just looking to make a dollar any way they can. 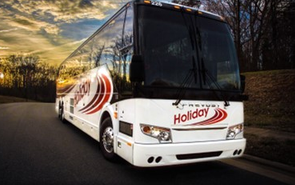 Check out this handpicked feature on The Alexandria Transit Company – Welcome aboard.